[content] => You can earn $50 for every healthy target you meet based on your health screening results. If you meet all five targets, that's an additional $250 credit toward your 2020 medical premiums! You can earn $50 for every healthy target you meet based on your health screening results. If you meet all five targets, that’s an additional $250 credit toward your 2020 medical premiums! [content] => You must submit your completed Health Care Provider Form and your Self-Administered Cardiorespiratory Test Submission Form to StayWell by Dec. 31, 2019. You must submit your completed Health Care Provider Form and your Self-Administered Cardiorespiratory Test Submission Form to StayWell by Dec. 31, 2019. Download the Health Care Provider Form on StayWell’s website or the downloads section on the Quick Find and take it to your health care provider when you get your annual physical exam at any time during the year. Complete your 2019 screening by also downloading the Self-Administered Cardiorespiratory Test Submission Form and following its instructions. Onsite screenings will be held at certain locations this September and October. 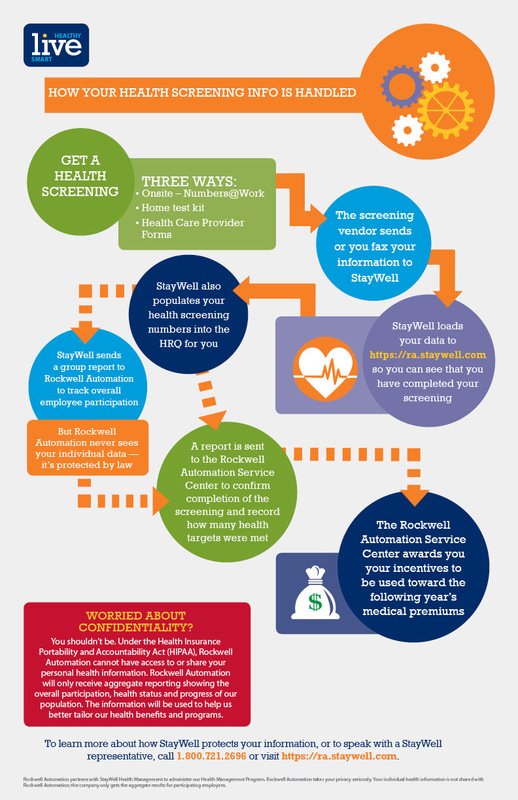 Order a home test kit from StayWell before the Nov. 15 deadline. After Nov. 15, you can't order a home test kit, but you can still complete the two forms covered in step 1. Order a home test kit from StayWell before the Nov. 15 deadline. After Nov. 15, you can’t order a home test kit, but you can still complete the two forms covered in step 1. Download the Health Care Provider Form on StayWell’s website or the downloads section on the Quick Find and take it to your health care provider when you get your annual physical exam at any time during the year. Complete your 2019 screening by also downloading the Self-Administered Cardiorespiratory Test Submission Form and following its instructions. You must submit your completed Health Care Provider Form and your Self-Administered Cardiorespiratory Test Submission Form to StayWell by Dec. 31, 2019.